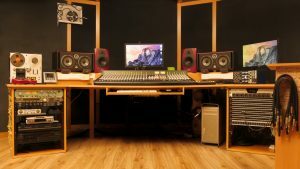 The studio provides a series of high quality equipment, such as preamps, microphones etc, suitable for almost any musical scenario and taste. 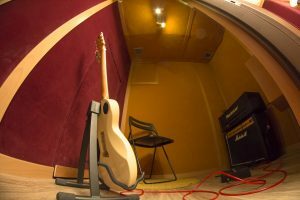 The large live room and the two medium booths, result to a more flexible recording choices such as, live recording the whole band or having different acoustic environments for the same sound source. Moreover, the main live room is suitable for recording choirs or small to medium string ensambles. The main live room is 50 square meters and is suitable for rehearshing with your band, choir or ensamble in an excellent acoutsic space, using amplified sound or not. We can mix your song, EP/LP either “in-the-box”, or using a more hybrid way combinig the warmth of analog gear with the ease of digital world. Working with excellent musicians and composers we can create the music or special effects for your next film or documentary. Creativity is the key factor! Distance is not a problem for you! 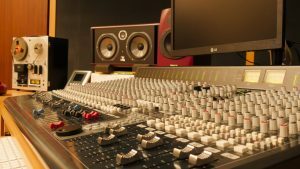 You can send us your audio material and have it mixed, ready making the best out of it, or even record with a selected team of musicians. Click here for more information about our online services.